PARIS (ESA PR) — Space companies and organisations from ESA Member States and Canada are invited to submit their interest in using ESA’s inventions. 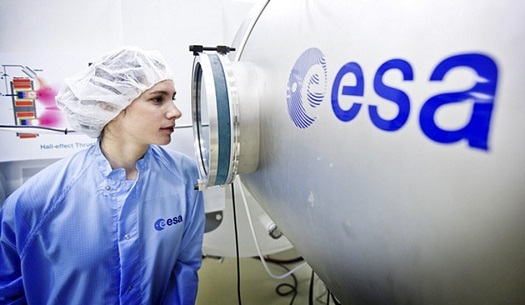 As a research organisation, ESA encourages, protects and licenses innovations or inventions resulting from its own activities in order to fulfil its mission of cooperation among Member States in space research and technologies and their applications, and supports the worldwide competitiveness of European industry. ESA patents up to 20 inventions a year and has a portfolio of about 450 patent applications and patents, which cover subjects such as radio-frequency payloads and systems, structures and pyrotechnics, electromagnetic technologies and techniques, material and processes, robotics, optics, electrical power and propulsion. ESA makes its inventions available free of charge via its Technology Transfer Programme Office on a non-exclusive basis to space industry within its 20 Member States. For use by companies outside of ESA’s Member States or for non-space applications, a different licensing model is in place, allowing the Agency to request royalties. Licensing templates can be downloaded via the link below as well as more information about ESA’s Intellectual Property policy. The goal of this call for interest is to make ESA’s portfolio and licensing conditions more openly visible to European space industry and to encourage its use and licensing. The deadline for the call is 5 March 2014.